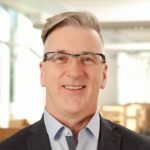 Denis Fontaine is the Assistant Dean of Student Affairs at the Campus Saint-Jean of the University of Alberta and Senior Manager of Strategic Initiatives for the International Department of the University of Alberta. Mr. Fontaine is a native of Northwestern Quebec. He has earned two college diplomas (Electronic Engineering and Science). During his college education, he followed his passion by joining the hockey teams for the Cégep de Thetford Mines and the St-Georges de Beauce Seminary. Once he finished his college education, Mr. Fontaine ventured into the Canadian West in 1988 to undertake his university degree in Education at the Faculté Saint-Jean. His goal was to learn English then return to Quebec to study Electrical Engineering at the Polytechnique de Montréal, but destiny would have it otherwise. Mr. Fontaine was not very familiar with Western Canada before the start of this adventure and had no idea that there was a francophone presence there. He discovered an extremely dynamic francophone community and adored his experience in Edmonton, as well as the lifestyle there. So he decided to establish himself. He finished his BA in Education (High School) in 1992 and immediately began his career as a French Immersion teacher. He was a devoted teacher for 9 years. In 2001, his career took a turn and he joined the Education Department at the Faculté Saint-Jean. He has taught university courses in addition to guiding future teachers in their professional development. He even received the Prix pour l’excellence en enseignement from the Faculté Saint-Jean in 2002-2003. After this wonderful experience, and a Masters in Educational Leadership, Mr. Fontaine became Director of Recruitment and Admissions in 2003. His responsibilities accumulated and his position evolved to become the Assistant Dean of Student Affairs today. Outside of recruitment and admissions, his many responsibilities include student services, as well as the international development file. Additionally, he is the CNFS (Consortium national de formation en santé) Coordinator. Lastly, Mr. Fontaine has a great passion for travel and discovering new cultures. He has had the opportunity, in the company of his wife Nadine and his two daughters Zoryanna and Océanne, to visit more than forty-five countries on five continents. These many trips have obviously been extremely enriching and have had an influence on his personality and his values.